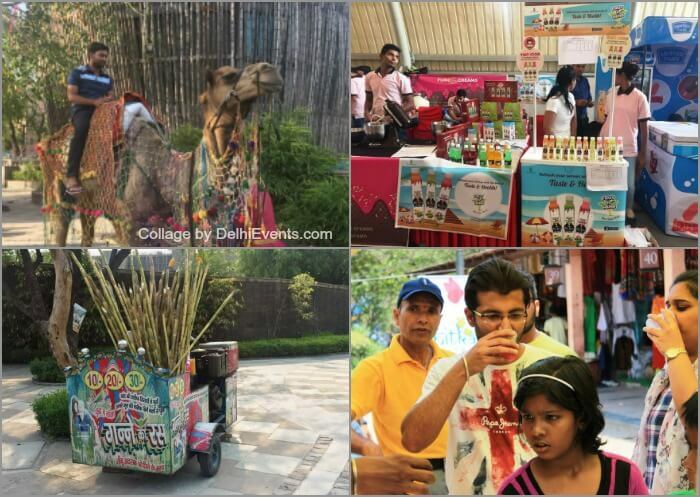 Event Description : Aiming to provide Delhiites with a respite from the hot sunny days and the scorching sun rays, Delhi Tourism & Transportation Development Corporation (DTTDC) is all set to organize its 2nd Sharbat Mela at Dilli Haat, Janakpuri. The summer season is here and the soaring temperatures are at the verge of melting us, but on the bright side summer brings with it a variety of juicy fruits and thirst quenching drinks. The three day long fest will see an assortment of Sharbats ranging from Kala Khatta, Pan Flavor, Aam Panna, Rose, Khas (from the renowned Hitkari Group), Herbal Juices by Vedantika, wide varieties of Milkomix, Alloy Juices, Mocktails, Ice Creams, etc. Being organized over the weekend, the fiesta will also enthrall visitors with extravagant cultural performances by artists from Sahitya Kala Parishad and Punjabi Academy. Apart from this, an absolutely fun-filled evening offering display & sale of handicrafts & handloom items, home decor, artificial jewellery etc., along with Camel rides and joy rides for children awaits one and all at the venue.